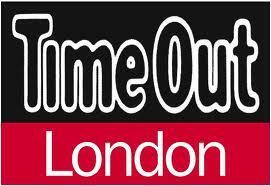 We were delighted to receive a 'google alert' this evening regarding our Scream Park, for no other than Time Out London. The quirky and accurate entry describes our daytime and night time Scream Park events, and lists the prices, expectations and all important fear factor. 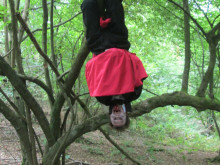 Tulleys Farm Crawley has reported some spooky happening’s, with what appears to be the early arrival of a number of Vampire visitors. 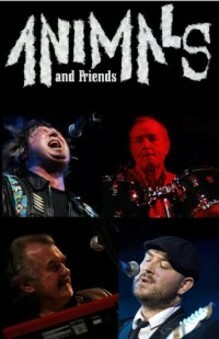 Shocktober Fest's LIVE Music Line-up announced! With now less than a week to go, the full LIVE music line-up has been excitedly announced by the organiser's of Shocktober Fest, Crawley. 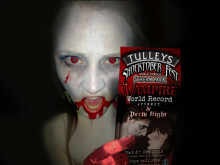 Just Three Nights until Tulleys Halloween Festival begins! 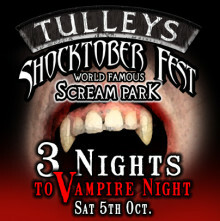 The home of the UK's No.1 Halloween Scare Park is ready to open it's gates to hoardes of Vampires this weekend.